My great great grandfather, William Bennett Baxter. 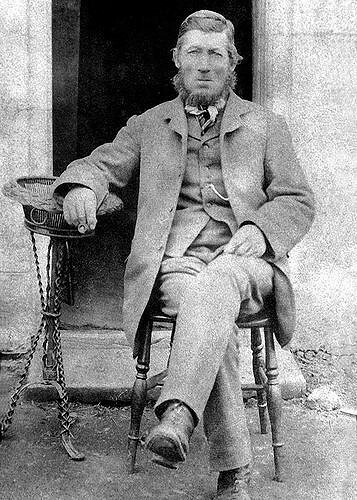 Born 8th January 1846 at Gressenhall Union Workhouse, Norfolk. I'm creating this post in order to try to make sense of a family history that has a confusing, sometimes conflicting series of evidences. I'll start with the order of discovery. I learned nearly 30 years ago, that my paternal grandfather's maternal grandfather was named William Bennett Baxter. He was named as such on my great grandparent's marriage certificate. I met aunts that remembered a few accounts of him. My grandmother had the above photo of him. My late grandfather, Reginald Brooker, had been raised by his grandparent's, the Baxters, in the wake of his parent's marital breakdown. The next step in discovery, was when I bought copies of his marriage and birth certificates from the GRO in London. They told me that he was the illegitimate son of an Eliza Baxter, born in 1846 in the workhouse at Gressenhall, Norfolk. I've made many visits to Gressenhall Rural-Life Museum since then - set in the old buildings of that workhouse. Eliza would have been punished for being a single mother in need of relief. She would have been marked out, made to wear a yellow jacket of shame. His marriage register record at Swanton Morley, Norfolk, also suggested that his father was a labourer, named William Bennett. I know that on marriages, illegitimate born people often claimed an imagined or faked father, to avoid what was then, a shameful thing. But his full name would support that his biological father was indeed, named William Bennett. It might be a coincidence, but there was a young miller in the area at the time named William Bennett. It's just difficult to prove - although perhaps one day, another DNA match? I couldn't find any references to 3rd great grandmother Eliza Baxter - for many years. I eventually lost interest in genealogy. When I returned to it, three years ago, Internet Online Genealogy, and even Genetic Genealogy had emerged. Indeed, I'm looking into this now, because I have a DNA Match in South Africa, that I suspect, relates to myself with shared ancestry somewhere around the Baxter Line. I'm writing this partly for her. Online Genealogy has allowed me to greatly extend my family tree, and often, to fill it with actual stories - which as some of my recent posts suggest - I love to do. Eliza Baxter, an unmarried servant in a household headed by a Robert Hudson. Wait a minute, below her are a William Baxter age 15 years of age (born circa 1846 - that HAS TO BE our William Bennett Baxter), and he has a little sister, a Faith Baxter age 12 years. 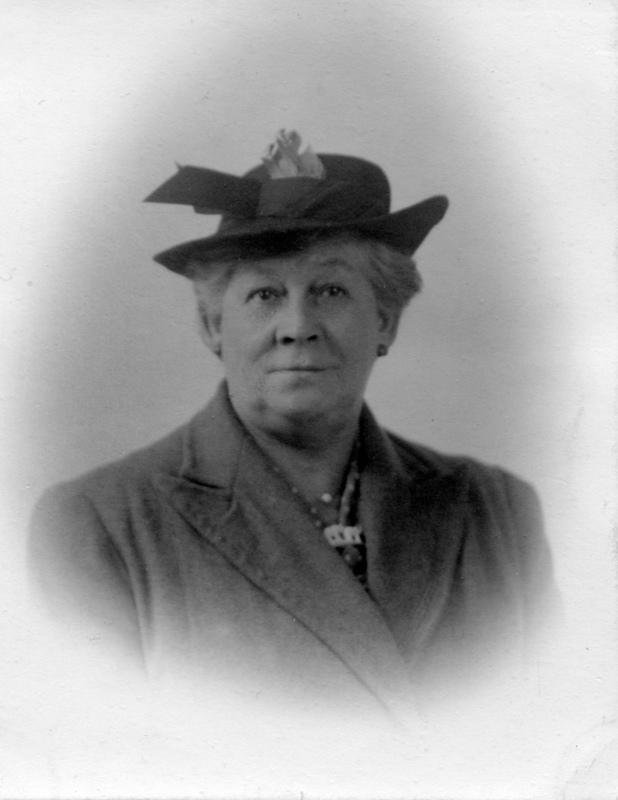 My great grandmother - William's daughter, was born later in 1885 as Faith Eliza Baxter. She was named after her aunt here, and her grandmother. Although Eliza is an unmarried servant, quite clearly, they are her children. Surprised that Robert Hudson is okay with that. wait a minute, William and Faith are recorded in the census as grandchildren of the householder, Robert Hudson. Ah, so they are family. Eliza isn't just a servant there. William - as I explained above, might have had a biological father named William Bennett. But here, William is recorded as a grandson of Robert Hudson. Which son of Robert, is claiming to be the father of William and Faith Baxter? The only contender in the household there in 1861 is Robert's son, John Hudson. A 42 year old labourer. Even if he wasn't the biological father of William - it looks as though he may have had a relationship with Eliza, he may even have been the biological father of Faith, but the record in the census keeps it all respectable. It says Eliza is an unmarried servant. Two granddaughters born at Swanton Morley of John Hudson called Faith in the same house? One Faith Baxter born circa 1849, the other Faith Hudson born circa 1855? Confusion. You'll see these people appear to keep changing surname, age, and place of birth. In genealogy, that normally suggests that you are tracing more than one individual - making genealogical mistakes. But you'll see, there is a common thread uniting these people, suggesting contradictory evidence. In that 1861 census, Eliza is recorded as being born at Runhall around 1823. However, who was talking to the census enumerator? Our Eliza was born in 1820 at East Dereham. Not an awful distance from Runhall - but the first contradiction. As for William - he is perfect, and the name of his sister fits the family history perfectly. Let's go back in the census. I appear to find the family 10 years earlier, but with contradictions. Let's go to the 1851 census. This HAS to be them ten years earlier. A John & Elizabeth Hudson, with children William and Faith Hudson. The entry is actually outside of Norfolk, over in the Fens at Ramsey, Cambridgeshire. John is recorded as working as an excavator, without much doubt - working on a Fen drainage system. Hang on - here he claims Leicester as being his place of birth! Is this the same John Hudson as in 1861 - because he recorded Swanton Morley as his place of birth, where he then lived with his father. Elizabeth (Eliza?) claims Hardington, Norfolk as her place of birth, and that she was born circa 1822. I don't believe that there is a Hardington in Norfolk. You might think that this is the wrong family. But, William "Hudson" was born around 1846 at Swanton Morley, Norfolk. Perfect for our William Bennett Baxter - Faith fits perfect as well born circa 1849 for Faith Baxter rather than the six year old Faith Hudson in the 1861 census. I have no idea where her claimed birthplace of Grassland, Norfolk is. How could there be another family with so many correlations in 1851 that matches in our family in 1861? I at this point, should state a doppelganger couple. There was a contemporary John & Eliza Hudson at Necton in Norfolk. But the bride was named Eliza Ollett, and no children called William or certainly Faith. I'm aware of their existence. When I think it over, I'm reasonably happy that this 1851 family residing at Ramsey, are the same as the family residing with Robert Hudson at Swanton Morley, in 1861. But I can't explain the contradictions. If I accept them - then William Bennett Baxter, my 2nd great grandfather, was the same person as William Hudson, born Swanton Morley (neighbouring Gressenhall Workhouse), in 1846. He had a younger sister born circa 1849, named Faith Baxter or Faith Hudson. John Hudson was perhaps her biological father. Do you see the contradicting evidences? They continue. Faith was baptised as Faith Hudson at Swanton Morley church, in Norfolk, on Christmas Eve, 1848. That suits Faith Baxter better than the six year old Faith Hudson in 1861. Her parents are recorded as John & Eliza Hudson. I don't find a baptism or a birth certificate for a brother in 1846 called William Hudson, but I have a copy of a birth certificate for William Bennett Baxter. Let's face it - they are the same person, born 8th January 1846 at Gressenhall Union workhouse, near to Swanton Morley in Norfolk. I don't believe that John and Faith were married. Not an uncommon situation in the 19th century working classes - nor for this area of Norfolk I suspect. I've seen local rectors complaining about the situation (what they referred to the sad state of concubinism in the district) of their lack of parental marriage, or didn't care. He baptised Faith. There's more - more contradictions. I believe that my 3rd great aunt Faith Hudson-Baxter married a William Codling at Litcham, Norfolk in 1866. If it was her, she recorded a John Baxter as her father. But that could have been the normal cover up to explain the surname that she was now using. After all, in 1861, she was called Faith Baxter, granddaughter of Robert Hudson. I haven't yet found her in the 1871 Census. Is this really her? In Sculcoates, Yorkshire (where I know a lot of Norfolk people moved to) not as Faith Codling, but as Faith BAXTER, widow, born circa 1849 in Swanton Morley? Not many Faiths born in that village then. She is a widow but she has reverted to the surname Baxter? The Marriage - that never happened. But they didn't appear to marry. No ensuing marriage record at Swanton Morley church. Instead, four months later, on the 7th April 1861, we get that record where Eliza Baxter is a servant in the household of Robert Hudson in Swanton Morley. John is there as well. The marriage doesn't appear to have taken place. 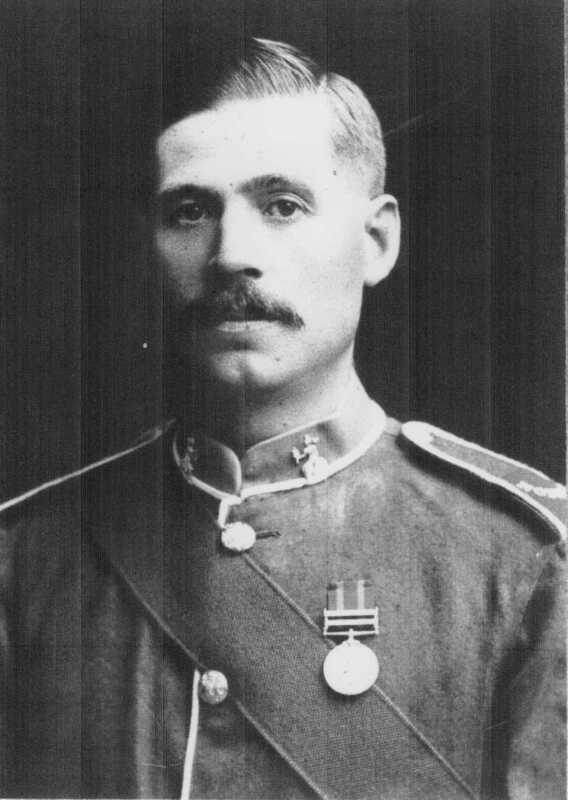 He served in the Norfolk Regiment in the Boer War in South Africa, as well as later, British India. He might have nothing to do with it - but he may be our link to that South African match?